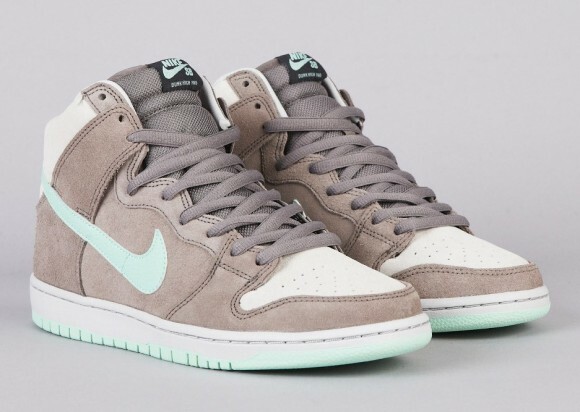 Adding to next month's selection of footwear from Nike Skateboarding, today brings us a detailed look at this all new SB Dunk High. 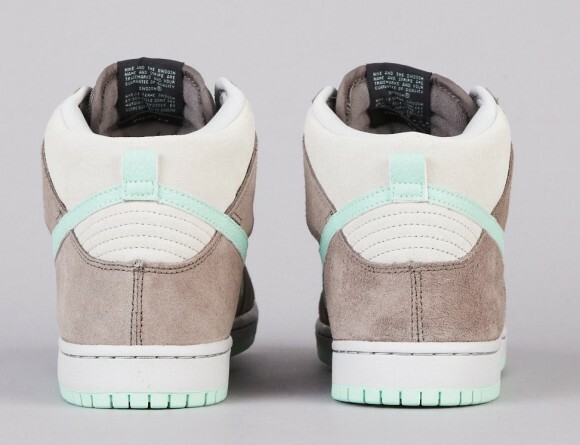 Although releasing just in time for the fall, this SB Dunk High sports the perfect look for the spring and summer with it's combination of natural tones and medium mint. 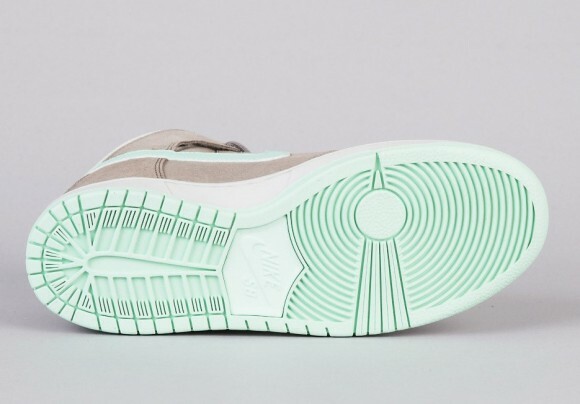 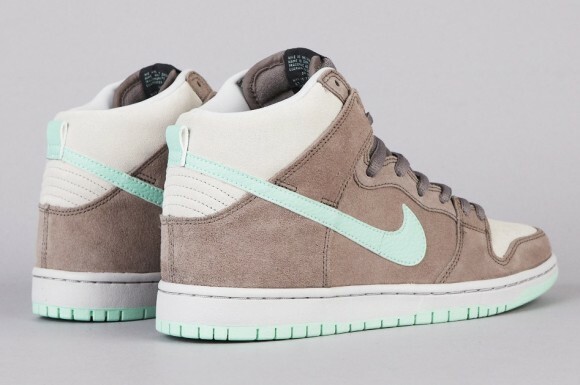 A light khaki suede and soft grey handles most of the skate-ready upper on these, while medium mint hits the Swoosh, tongue branding and outsole sitting below. 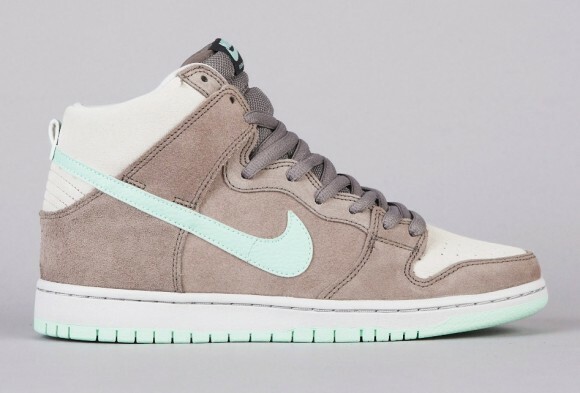 Look for the Soft Grey/Medium Mint Nike SB Dunk High to release next month at authorized Nike Skateboarding accounts.